StepAhead Australia’s Annual Scientific Conference was held at St Vincent’s Hospital Melbourne on 30 November and 1 December 2011. As their marquee event for the year, it proved to be an outstanding meeting gathering together a world-class faculty of researchers who are at the cutting edge of research with speakers from North America, Argentina, Italy, Thailand, Japan, New Zealand and Australia. As in other years the theme of the conference was on treating and repairing the chronic injured spinal cord. Spinal cord injury affects approximately 20,000 Australians, with approximately 300 new cases each year (2008: 137 paraplegic and 136 quadriplegic new patients). Spinal cord injury patients suffer loss of motor function (movements of arms and legs), loss of autonomic function (control of bladder, bowel and sexual function) and secondary problems such as chronic ulcers and infections. The mean age of injury is 19 years with five out of six being male patients. The psychological cost to the patient is often devastating and the incidence of suicide amongst SCI patient is five times higher than the general population. The cost to the patient’s family is often overwhelming and the rate of marital break-up is reportedly up to 50%, significantly higher than that of the normal population. The cost to society is profound. In Australia, (2008) health care costs for SCI is approximately $2 billion or 2% of total healthcare expenditure. These costs are borne by State Government (44%), individuals (40.5%) and Federal Government (10.6%). Lifetime costs are $5 million per case of paraplegia and $9.5 million per case of quadriplegia. Despite this desolate situation, the application of funds to find a cure for spinal cord injury is minimal. Australian Government grants for SCI research (total NHMRC research funding 2000-2008) represents 0.7% of the total research budget whereas, research on all cancers, which account for 5.8% of health care budget is funded to a level of 22.5% of the total federal research budget. That is, on a pro-rata basis to total health care costs, research funding for SCI is one tenth of that spent on cancer research. Funding of research into SCI by major pharmaceutical or biotechnology companies is also minimal. A consequence of this deplorable situation is that patients suffering from chronic SCI have become the prey of stem cell tourism. After the Conference some of the attendees spent time at the beautiful farmhouse of StepAhead founders George and Barbara Owen where they formalised the creation of new collaborations and friendships that will stimulate and jump-start new avenues of research directed towards repairing the chronic injury spinal cord (photo above). “Today we need dogged researchers who will prove the value of new therapies in spinal cord injury. Thanks to their efforts today, our grandchildren will look back and be aghast that there was once a time when a spinally-injured person was told that medicine had nothing to offer them,” Dr.George Owen. 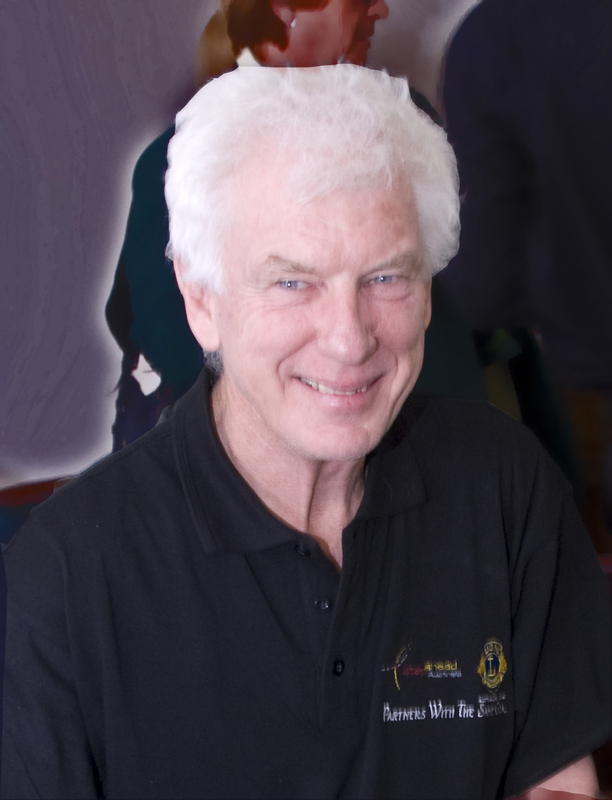 Dr George Owen the founder of StepAhead, approached a Lions Club in 1999 looking for a donation to help the fledgling Spinal Cord Society of Australia Inc. in its search for a cure. This Club was so moved that it not only donated to the cause, it took the story to a larger audience. Within 12 months Lions had created the Lions Australia Spinal Cord Fellowship as a National project of Lion, giving all 1400 Lions Clubs across Australia the opportunity to raise funds for research into spinal cord repair. Lions Clubs individually conduct many and varied activities in an effort to raise funds for this project including. Sausage sizzles, Trash & Treasure sales and Fun Runs. These events along with the national recycling effort involving the collection of aluminium can ring pulls are just some of the ways the Lions Clubs of Australia raise more than $100,000 per year in support of StepAhead. 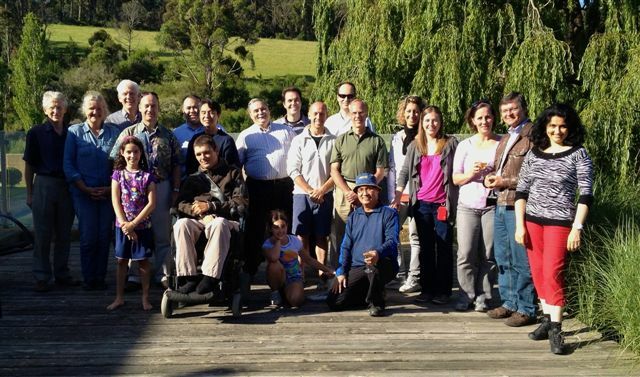 NB: Over the last five years, StepAhead has also successfully raised additional funds in Australia and forged a network that includes some of the world’s leading spinal cord researchers and clinicians. It is recognised by the Federal Government as the peak body responsible for coordinating research into chronic spinal cord injury. Next ›Charter night for Lions Club of Sydney Selective Inc.